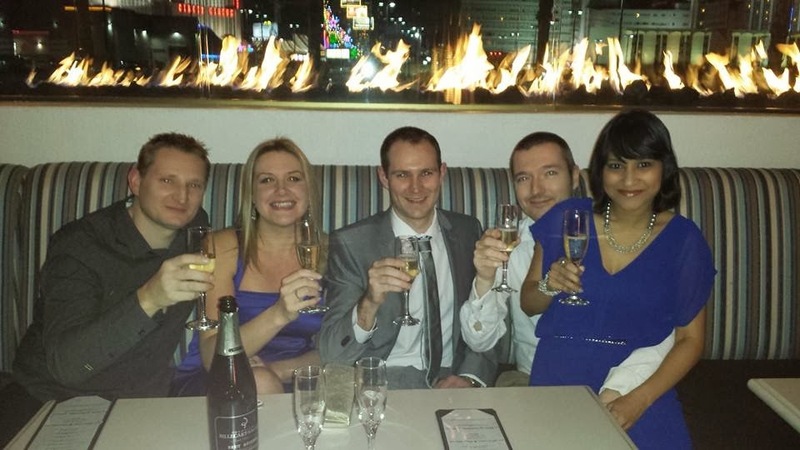 I have recently returned from an AMAZING trip to Las Vegas with friends for my Husband’s 40th. This was my first time in the US, and I loved every minute of it. I thought Vegas would be just kitsch and good fun, but it is amazing. It has some of the most gorgeous (and ridiculously large) hotels combined with outstanding natural beauty. When I say the hotels are large, some have 5 lane roads just for the entrance, they have upwards of 5000 rooms! Everything in Vegas takes a long time to get between because you can’t account for scale. 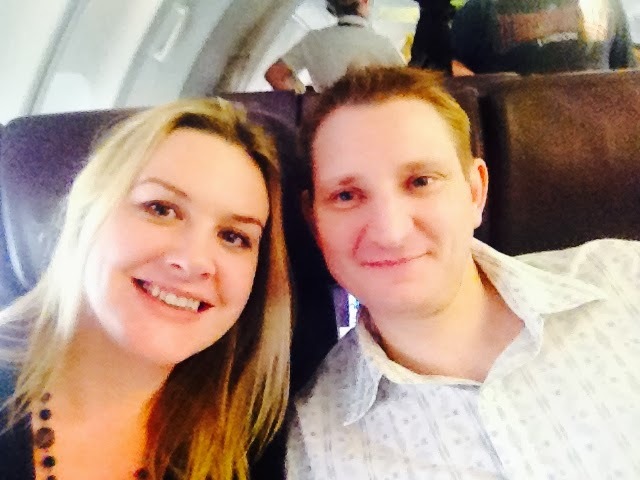 We decided to fly Premium as it is a 10hr flight each way and we wanted to enjoy it as part of the holiday, not find it a chore. As usual Virgin were great and the time flew past with plenty of alcohol to smooth the way. I even found the entire series of Broadchurch to watch, which I did back-to-back and that took 6 1/2 hrs. Great series btw. 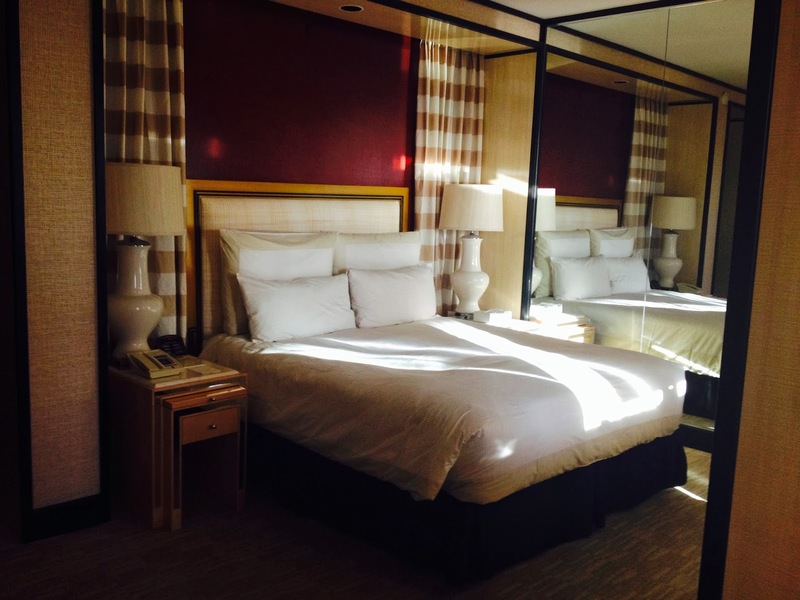 We stayed at The Wynn/Encore and it was such a gorgeous hotel. The service was impeccable and everything was so carefully thought out. 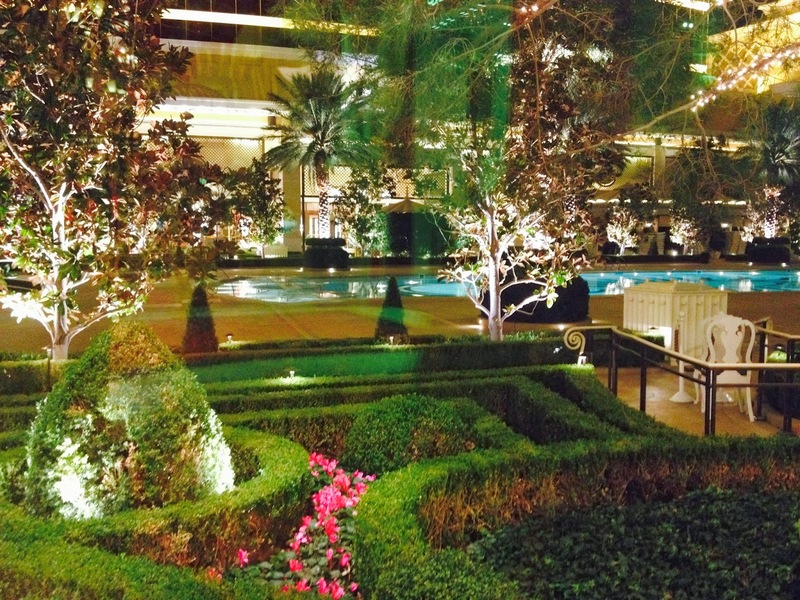 From the smell as you walk in the door, to the beautifully lit tress, The Wynn is pure class. We visited on Chinese New Year and therefore there was an enormous dragon on display in one of the open spaces. The Wynn is a oriental themed hotel anyway and it looked gorgeous with all the extra Chinese touches. I was also surprised to see a Jeff Koons in real life, as his sculpture “Tulips” was on display, Steve Wynn had bought it for $33.6M, bargain! 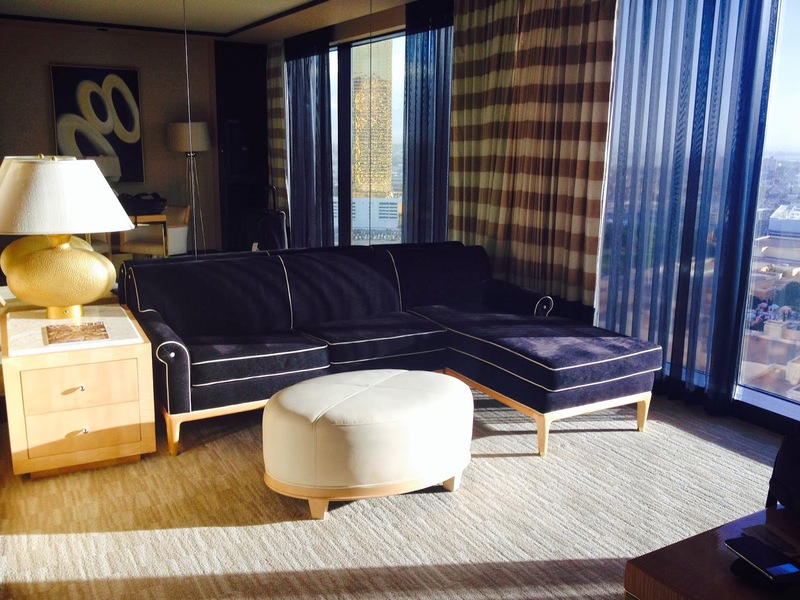 The room was lovely and was one of the main reasons we choose to stay at The Encore. They have lovely large suites with great modern facilities (massive TV’s iPod docs etc…) The double bathrooms are exceptionally luxurious with a large super deep bath and enormous shower with plenty of room for two 😉 The beds are everything you expect of a 5 star hotel but the great part is the lounge/office area with L-shaped sofa overlooking the floor to ceiling strip-view windows. My only slight reservation with the rooms is the lack of tea making facilities, which I consider an absolute essential. 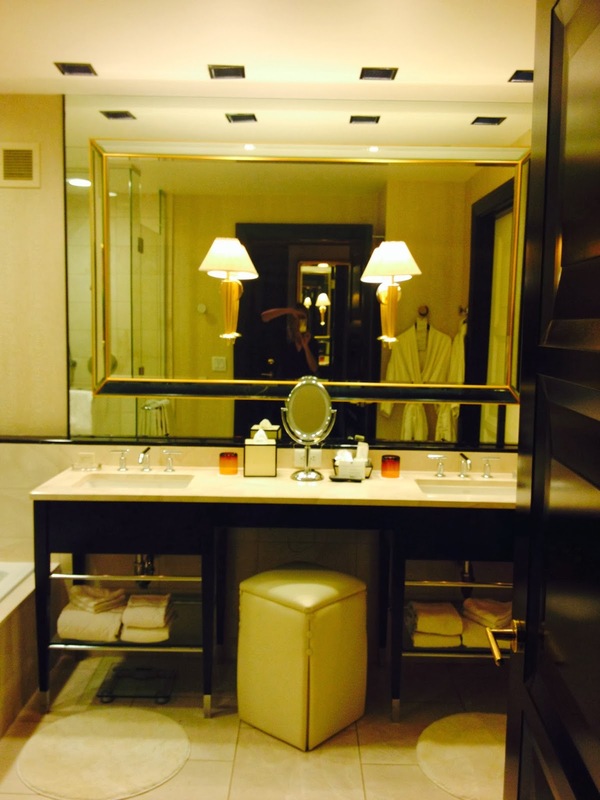 btw…what is it with American hotels and phones in the loo, why would you do that? The other things that has to mentioned about The Wynn is the Buffet. OMG. It is like nothing you have aver seen. Whatever you want for breakfast, you can have it. We saw toffee apples, tiramisu, roast rib of beef, sushi, dim sum and lobster omelette. The food wasn’t mass produced junk either, it is cooked with the care you would expect in a 5 star hotel. It was so hard not to eat till you were stuffed. The decor is severly over the top too. On the evening of my Husband’s 40th (and our 5th Wedding Anniversary) we went to The Barrymore Restaurant (this has slightly odd connotations in the UK, that I think may be lost in Vegas) We found it on Trip Advisor and thought it was amazing. We had Cocktails and Champagne on the outdoor terrace complete with patio heater and realistic flame effect background thingy bob. There was a party of 7 of us. My Husband and I had the fois gras starter and Kobe beef main and it was so good. I think 5 out of the 7 of us went for the Kobe beef because at $40 it was amazing value, you would pay upward of $70 in the UK. 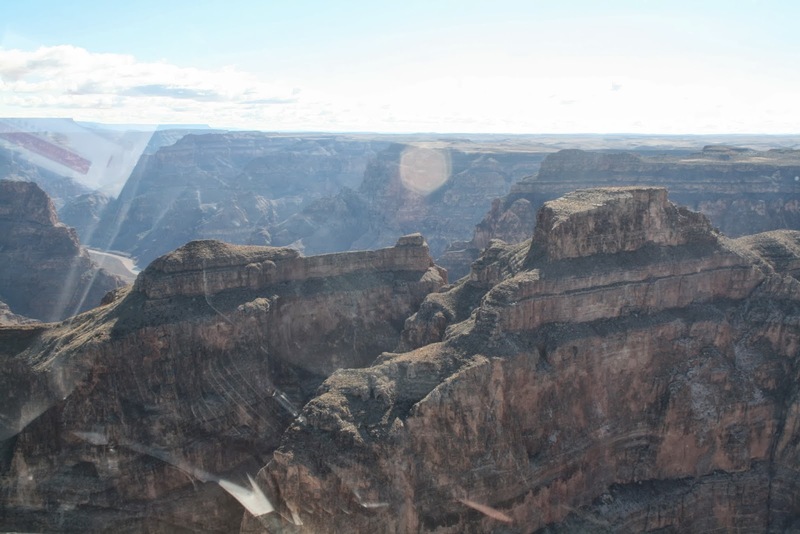 We treated ourselves to a helicopter tour of the Grand Canyon which was completely awe inspiring, what an stupendously large place America is, and what natural beauty. 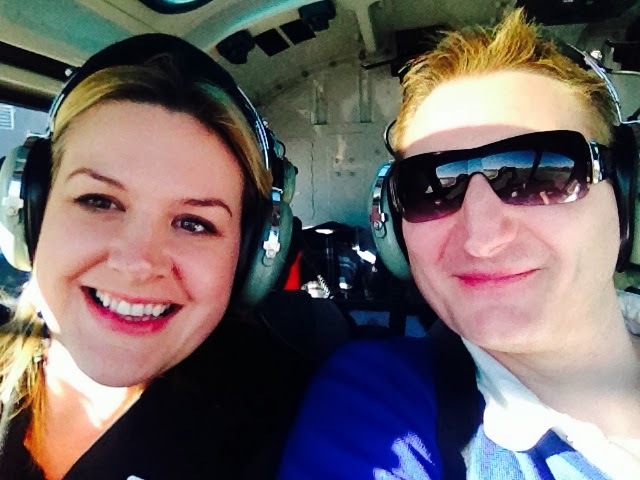 The helicopter was great fun too. I’m afraid no-one really got to enjoy the champagne picnic as we all felt like crap after the previous nights exploits and the 8am pick-up. I love gambling and we had some luck on the roulette tables (my personal favourite, as I actually get what is going on, unlike the other tables) It also happened to be the Superbowl Weekend when we were there which is the biggest gambling day of the year in Las Vegas. 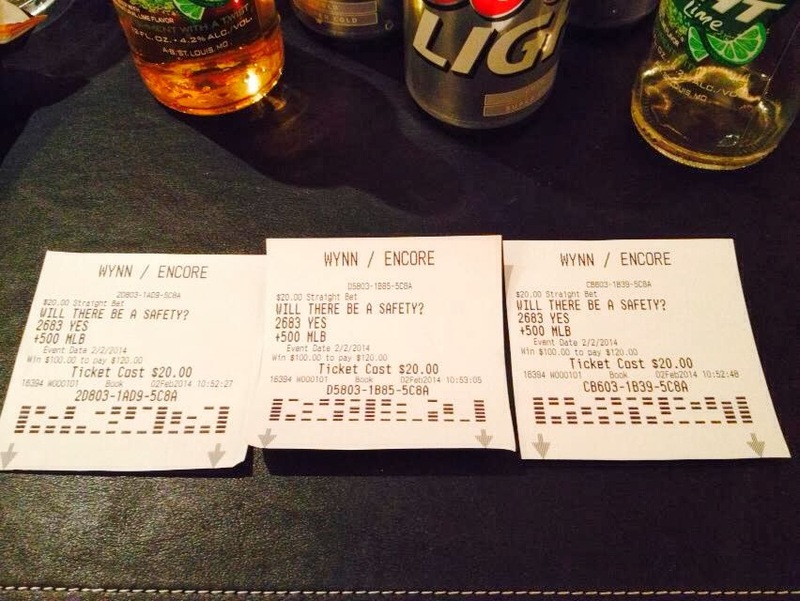 We bet on there being a Safety (whatever that is) during the Super Bowl and there was one in the first 2 minutes so we were all up $100, thank you for the tip Mr Helicopter Pilot. We spent our winnings going out to Andrea’s restaurant at the Encore. It serves asian fusion food and it is some of the best I have ever tasted. I also liked that their service is spot on. As I had made the booking, I was taken to be the host, therefore all decisions were directed to me, wine tasting, menu’s etc. in the UK they always ask the man. We had Wagu beef sliders, Miso black cod and Sui Mai. We also went to see a show, which we felt was the done thing in Vegas. We picked La Reve as it is a Cirque Du Soliel Show but it also includes water. I was absolutely blown away. They had dropped a 1.1million gallon tank into the theatre to perform the show on and the performers where all scuba trained. There is no bad seat in the house as no-one is further than 42ft from the stage and there are no obstructed views. It is a truly amazing show and I thoroughly recommend it to anyone (even the guys liked it). The only downside is the massive feeling of physical inadequacy that you leave with after watching these super-beings perform. 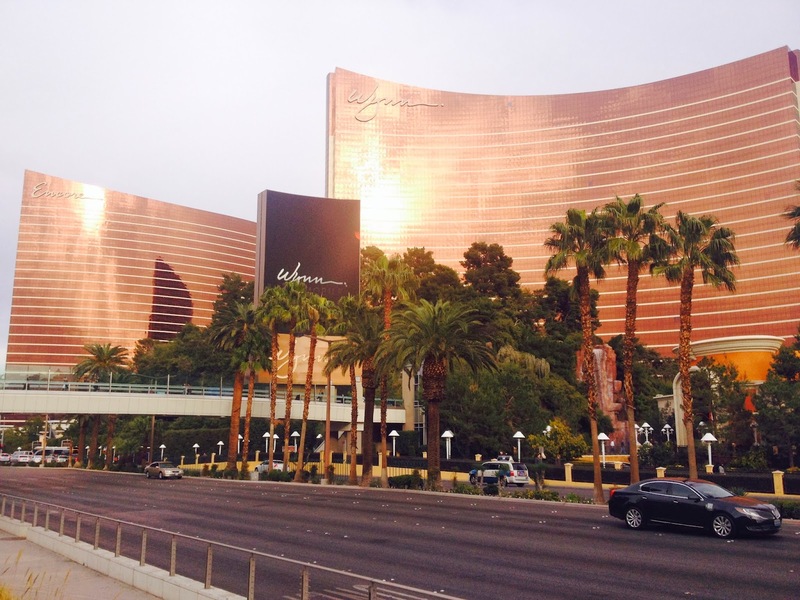 Go downtown to El Cortez for gambling at $1 a go on the tables instead of $10+ at the Wynn. Go outlet shopping near Downtown – great Michael Kors outlet I got the wallet I have been after for just $90 instead of £120, bargain, thanks to husband for buying it for my upcoming birthday. 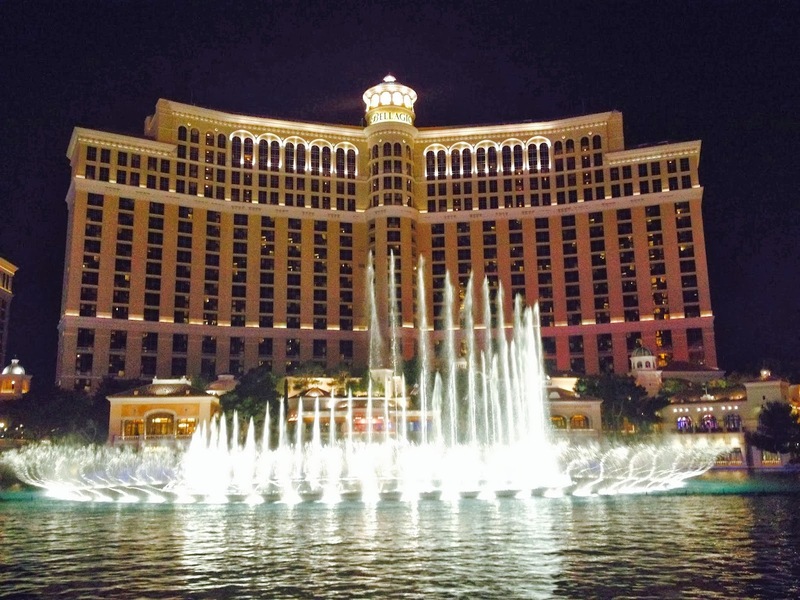 Watch the Bellagio Fountains at night, even my grumpy husband was impressed with the dancing fountains. I will definitely return, maybe for my 40th, which gives me 5 years to save up again, as it isn’t a town to do on the cheap. Vegas is an interesting place to be sure. The adult version of Disneyland;-). Nevada is an open carry (guns) state I believe so they are more liberal in their gun activities. The casinos never ever have coffee or tea making stuff in the rooms. They want you out on the casino floors (which are designed to not let you know what time of day or night it is and to have you wander around as much of the expansive facilities as you can). So we always bring a hotplate and our own cups/coffee/tea. I've never fancied Vegas but you 've made it totally appealing now!